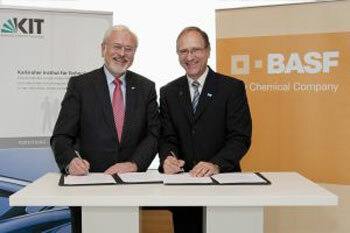 Karlsruhe Institute of Technology (KIT) and BASF SE will jointly develop new battery materials at KIT in the future. Joint solution provides system architects and power experts with framework for system level analysis and optimization of performance and power. The global supplier of advanced electron-beam lithography systems will deliver an EBPG5000plusES to the newly formed Nanotechnology and Application Center (SUNAC) of the Sabanci University based in Istanbul. The Gaussian Beam system fulfils the challenging requirements of the institute which will collaborate in the field of nanotechnology research with other institutions. 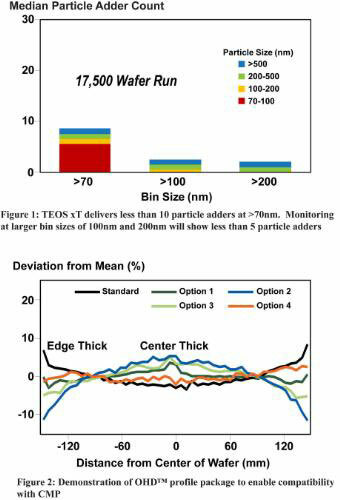 Novellus Systems announced that it has made multiple shipments of its new VECTOR Extreme TEOS xT system to leading memory manufacturers around the world. The VECTOR Extreme TEOS xT is based on the highly successful VECTOR Extreme platform. 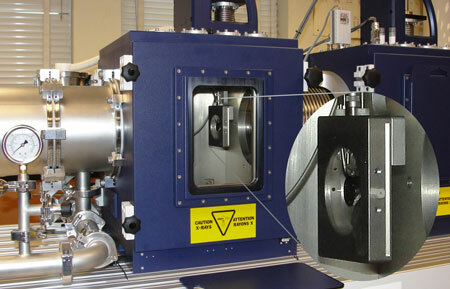 It is capable of production throughputs in excess of 300 wafers per hour, making it the fastest plasma enhanced chemical vapor deposition (PECVD) system in the industry. Berkeley Design Automation, Inc., the nanometer circuit verification leader, and Accelicon Technologies, Inc., the leading device-modeling and PDK solutions and services provider, today announced the support of Berkeley Design Automation Analog FastSPICE Platform in Accelicon's Model Quality Assurance (MQA) product. Market leaders in temperature controlled microscopy, Linkam Scientific Instruments, have been chosen by the Chemistry Department of the University of Manitoba to characterize liquid crystal composites conjunction with SAXS. Enso Holding Ltd has acquired majority of shares of Carbodeon Ltd Oy [Finland] and has made a significant equity capital injection into Carbodeon. Total extent of the agreement package is several million EUR. Primary objective of the parties is to boost nanomaterial's development and manufacturing in Finland for disruptive applications. IDEX Corporation today announced that its wholly-owned subsidiary, Nano Merger Sub, Inc., has commenced its tender offer for all outstanding shares of Microfluidics International Corporation at a price of $1.35 net per share in cash. NanoString Technologies, Inc., a privately held life sciences company marketing a complete solution for detecting and counting large sets of target molecules in biological samples, today announced the expansion of its microRNA (miRNA) product line with a multiplexed assay for profiling the mouse miRNA transcriptome. Targray Technology International announces that it has partnered with Vorbeck Materials Corp. to introduce a new and disruptive graphene technology for manufacturers of Li-ion battery cells. The European Patent Office (EPO) has issued the patent EP1636135 for 'misch metal oxides and their utilization in CO2 sensors' to the Nanostart company ItN Nanovation AG. ItN Nanovation considers this patent to be a crucial step forward in the development of semiconductive, nanotechnological CO2 sensors for the commercial market. Cadence Design Systems, Inc., a leader in global electronic design innovation, today announced that it has teamed with the Semiconductor Technology Academic Research Center (STARC), a Japanese design consortium, and created an innovative new Cadence-based 32/28-nanometer design-for-manufacturing (DFM) flow. To meet increasing demand for its Quantum and Solar Gard branded window films and photovoltaic backsheet, Solar Gard today announced plans to construct a new manufacturing facility in Qingdao, China. The patented innovations include technology for general lighting, LCD backlighting, and microelectromechanical system (MEMS) displays, expanding the breadth of products in these applications that can be addressed by Rambus. Novel nanostructured materials promise longer device life for less cost than current solder solutions. Silicom Ventures LLC, producer and co-host of the Personalized Medicine World Conference 2011 held January 18th and 19th, today announced that Nodality, Inc. was selected for the conference's 'Most Promising Company' award.